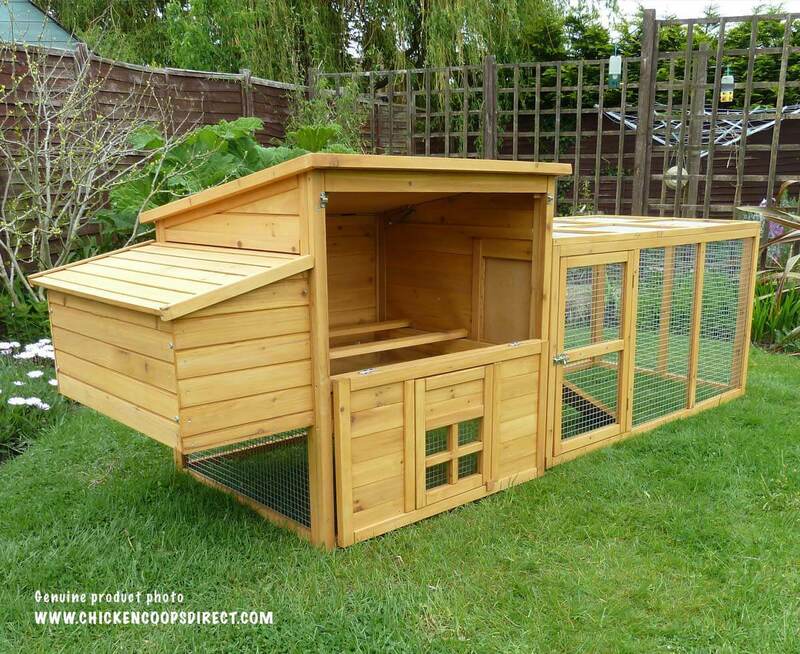 The well thought out Dorset With Run offers you plenty of flexibility with almost 30 square feet of space and a large run that can be easily extended at a later date should the need arise. The large run can be either permanently attached to the coop or simply pushed up against it. 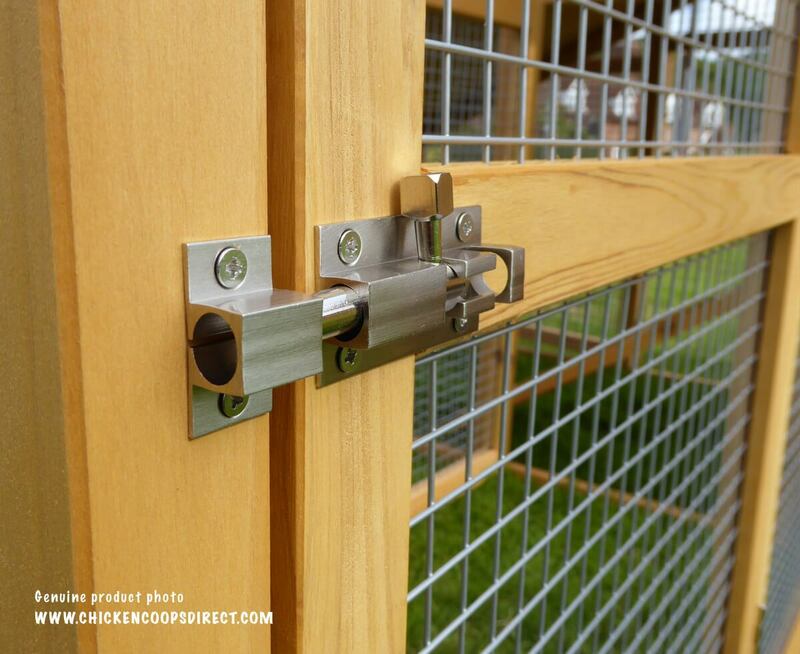 And with many easy to use access points throughout the coop you'll never have a problem tending to your chickens or cleaning it out. 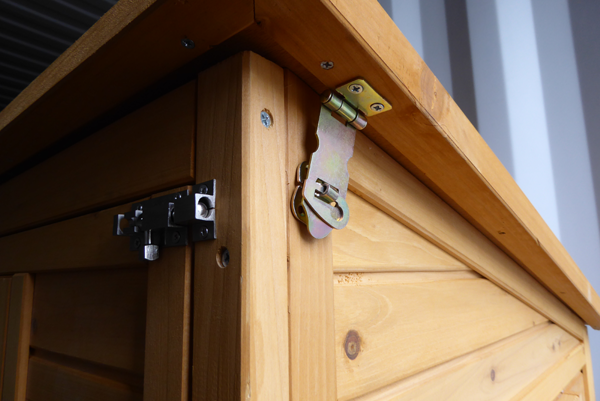 The large run is made with higher grade wire and has two side opening doors and a folding roof, all of which can be locked and secured. 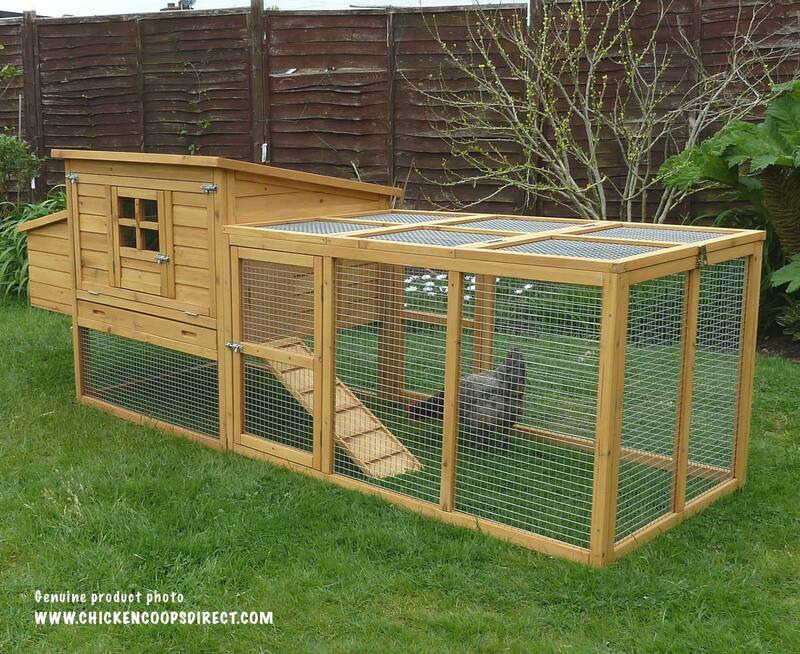 A large lift up roof is held in place by metal stays and provides easy hands free access into the roosting and perching area. 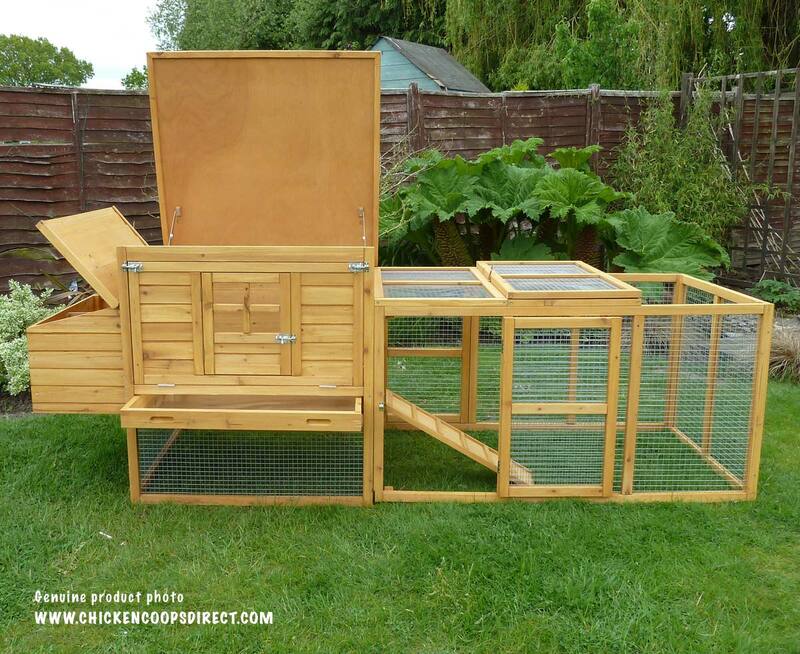 Inside the housing area are two removable perches and a large nesting box for your hens to lay. The large front panel can be completely removed to allow you to access the internal areas for cleaning. The unbolt-able nesting box and extra deep pull out tray add to the easy to clean features of the Dorset. 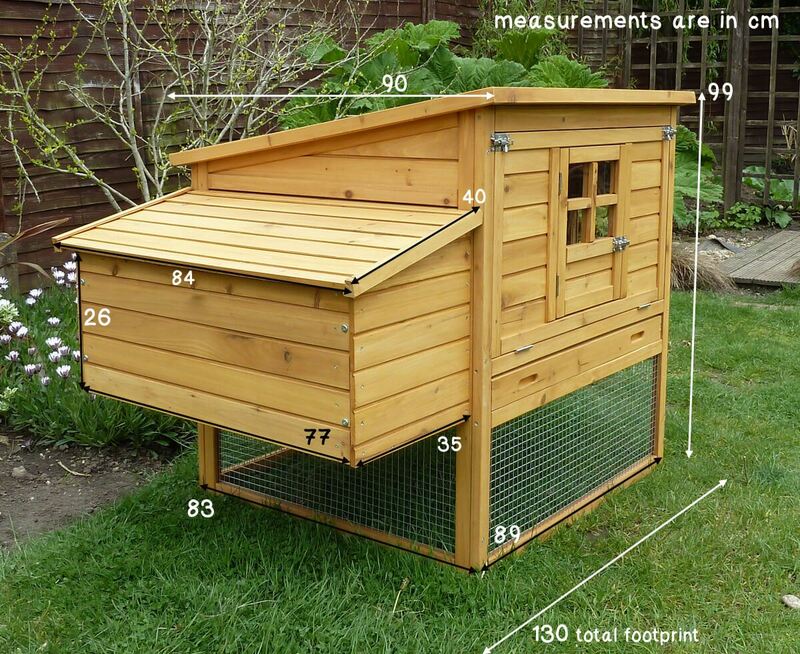 Total extrenal dimensions (in inches): L 89.37" x W 32.4"
Dorset Run external dimensions (in inches): L 54.1" x W 32.4"
Dorset Run internal dimensions : L 53.9" x W 31.4" x H 28.9"
The Dorset Coop is supplied flat packed for easy home assembly. This set comes flat packed in 3 boxes. Instructions are included. All you will need is a small screwdriver and an adjusting spanner. 1. How many hens can the Dorset with Run hold? 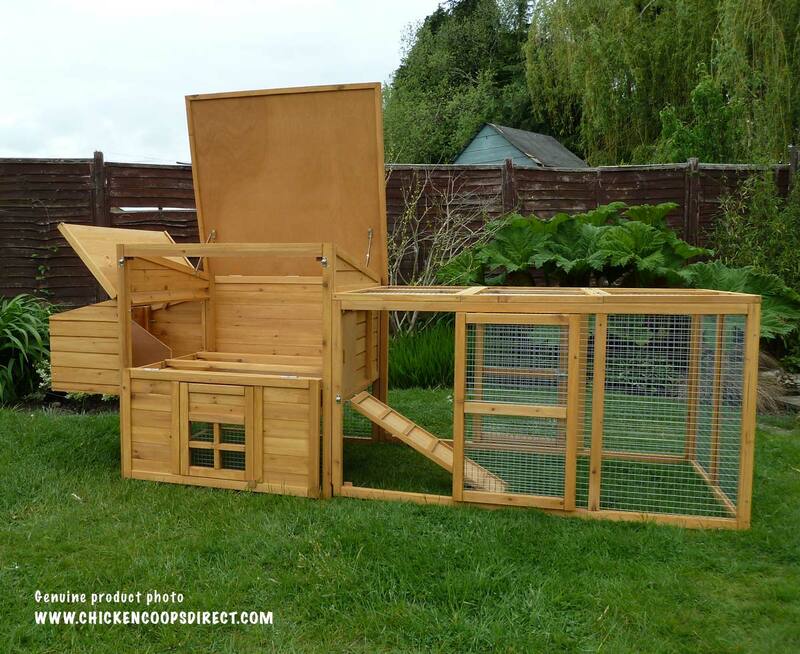 The raised roosting and nesting area of the Dorset coop will hold 5 to 6 medium sized birds quite comfortably. What is probably more important to consider is the amount of space they will have during the day. 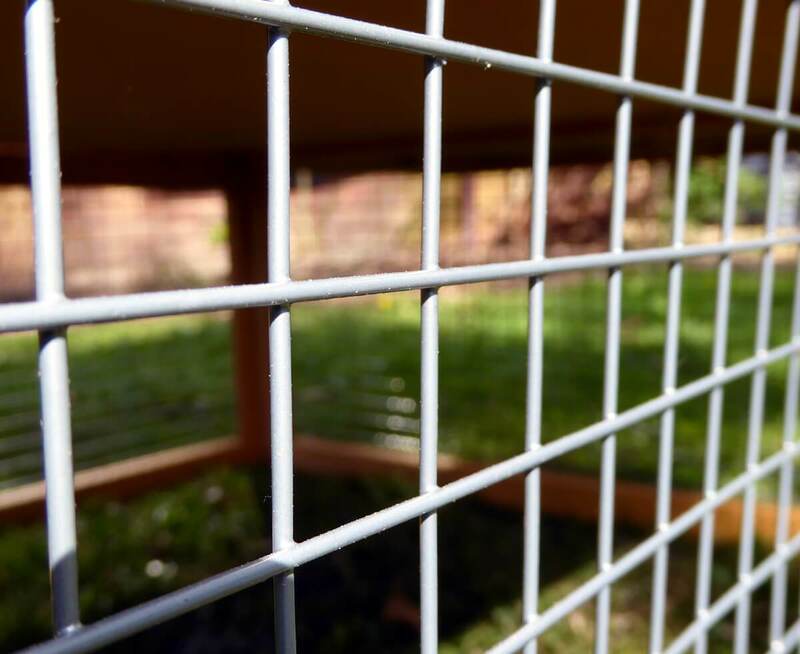 If you intend to give them time to roam around your garden then the run space is less of a determining factor and up to 6 hens would be fine. 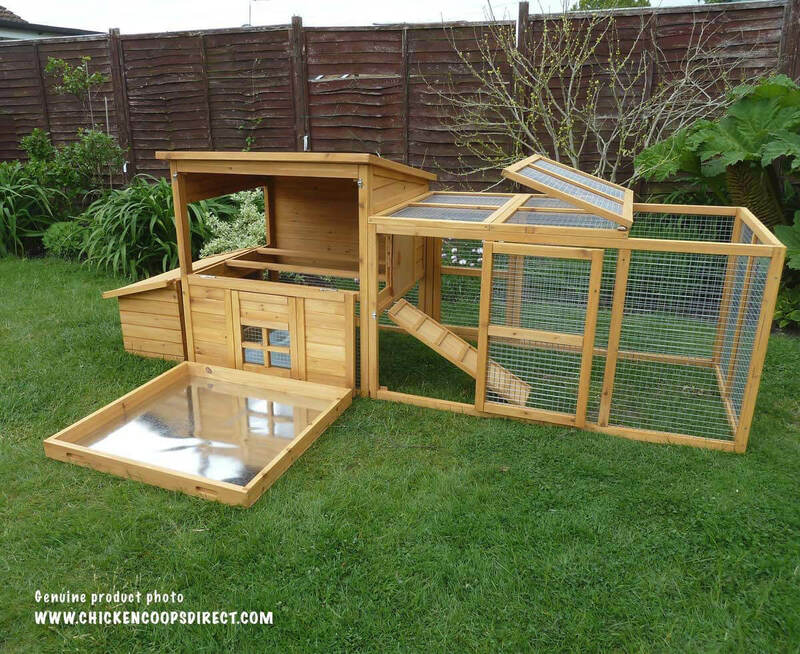 However if they are to spend their entire day inside the Dorset with Run then 2 - 3 medium sized hens would be our recommendation. If you are thinking about investing in the Dorset with Double Run then you can increase that number to 4 hens and they would be fine. It will depend on the breed of chicken and the size of the breed, and also how you intend to keep them. 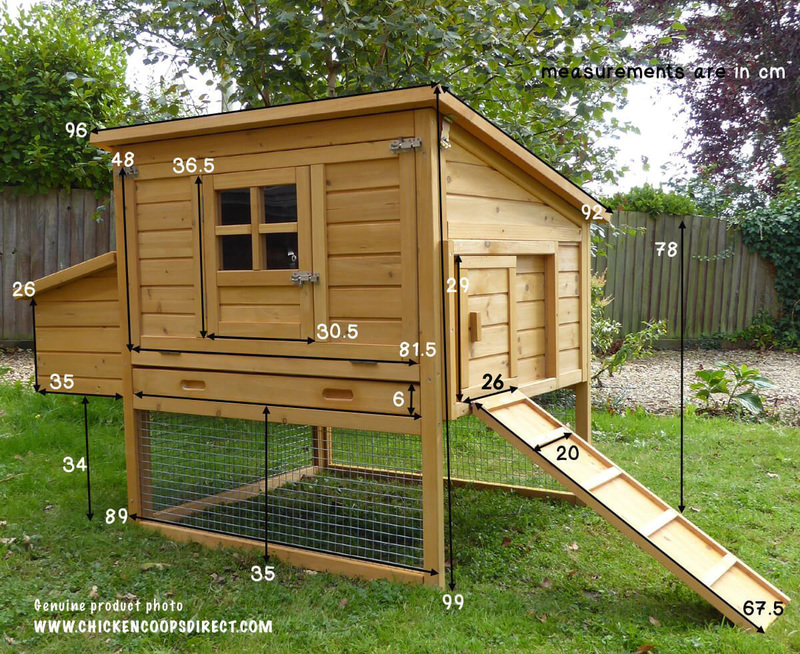 The raised roosting and nesting area of the Dorset coop will hold 5 to 6 medium sized birds quite comfortably. What is probably more important to consider is the amount of space they will have during the day. 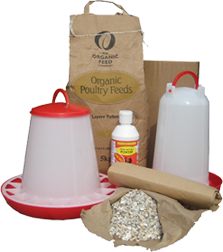 If you intend to give them time to roam around your garden then the run space is less of a determining factor and up to 6 hens would be fine. 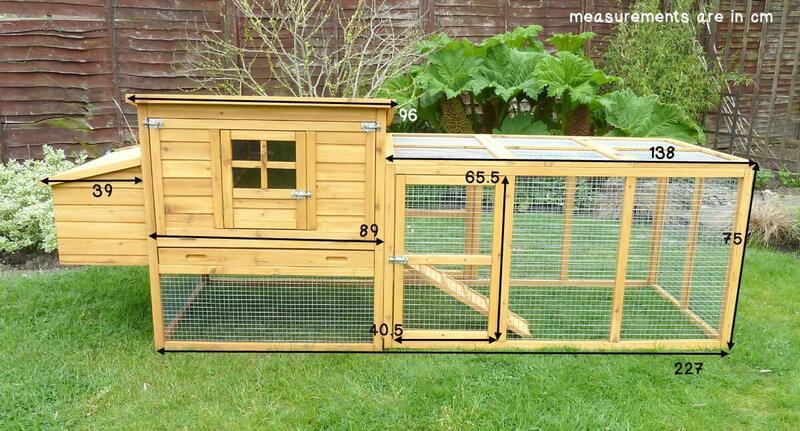 However if they are to spend their entire day inside the Dorset with Run then 2 - 3 medium sized hens would be our recommendation. If you are thinking about investing in the Dorset with Double Run then you can increase that number to 4 hens and they would be fine.